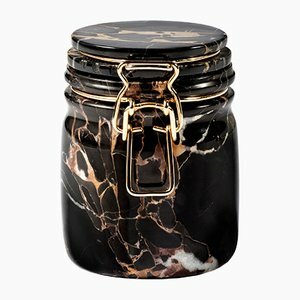 From antiquity to Art Deco and beyond, marble is eternally in style and in demand. 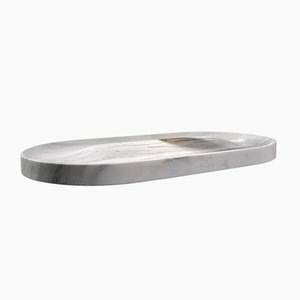 And a raft of today's contemporary designers and makers, especially in Italy, have rediscovered this versatile and visually rich material to push the boundaries of what it can do. 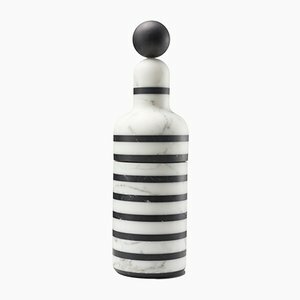 Exploiting the full spectrum of color options—luminous whites, hynotic blacks, earthy ochres, and more—these new takes on design in marble, including tableware, vases, barware, and more, showcase the material's age-old allure. 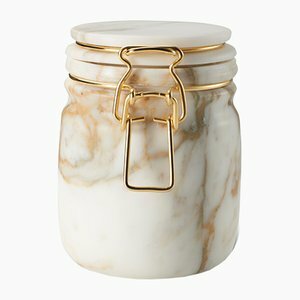 What's makes marble so timelessly desirable and au courant? 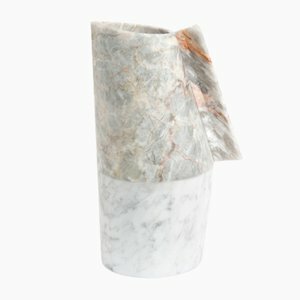 According to Elenora Negri, founder of Italian design brand Editions Milano, "Each creation in marble is unique, because the stone itself is infinitely variable; the patterns never repeat! 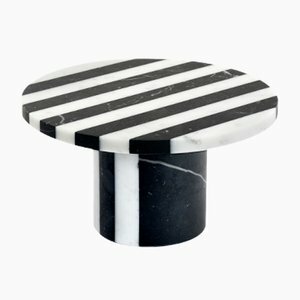 So marble is always surprising, even as it's also reassuringly connected to history. 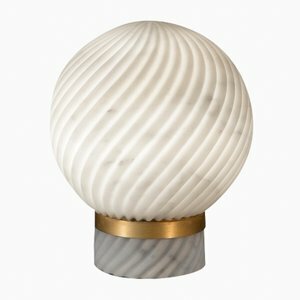 Today, contemporary techniques in tandem with skilled artisanal knowledge are bringing to life unprecedented examples of marble's beauty and lightness." 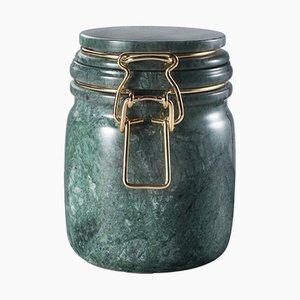 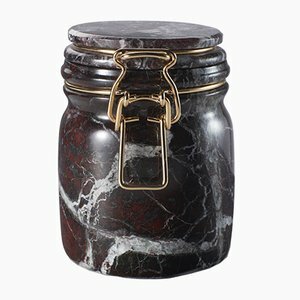 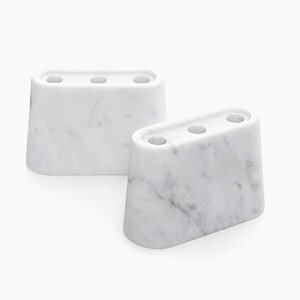 Here's a selection of outstanding marble achievements in both form and function. 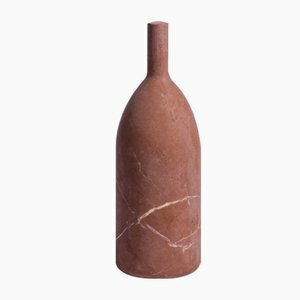 Beirut architecture studio David/Nicolas have earned an enviable reputation for their ultra collectible furniture designs offered through the world's most high-end design galleries. 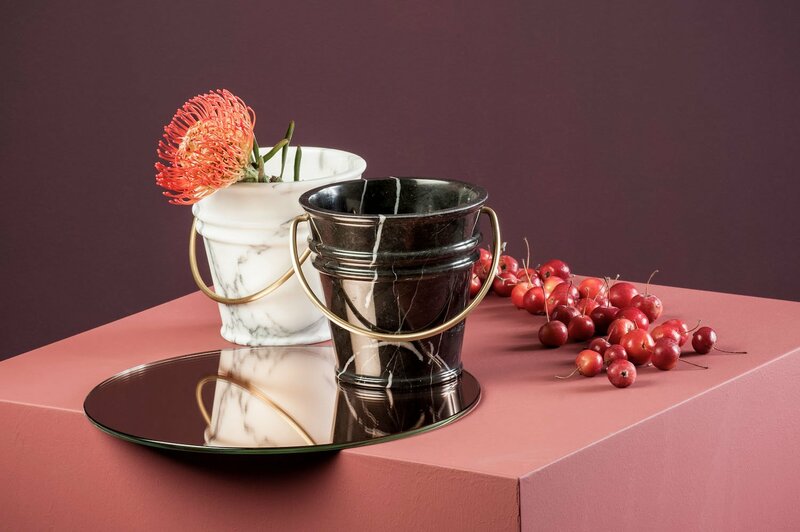 So we were so excited to see their gorgeous Triangoli Vessel Collection for Italian brand Editions Milano. 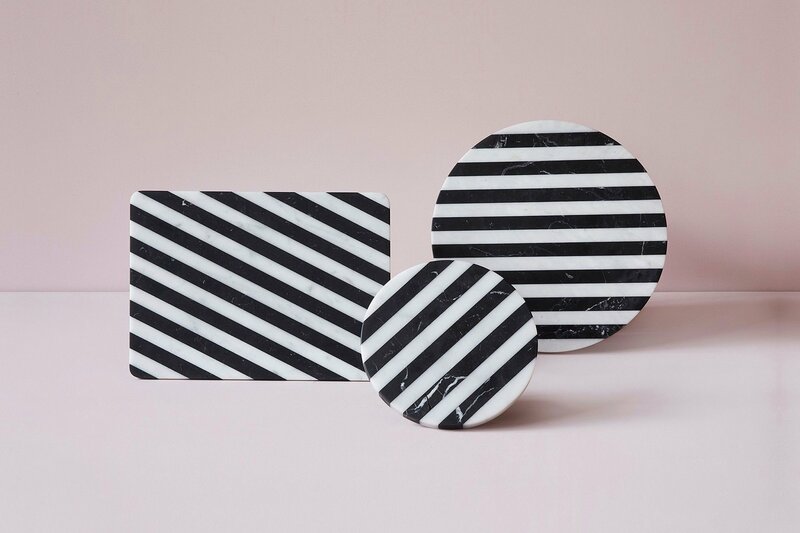 Sieze the opportunity to bring a bit of these rising stars' minimal lux style into your home. 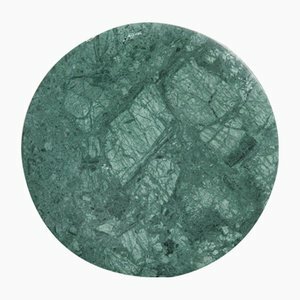 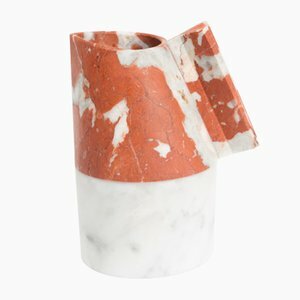 In the same vein—no pun intended—Editions Milano tapped another sought-after design luminary, London designer Bethan Gray , to explore new way of bringing marble into the 21st century. 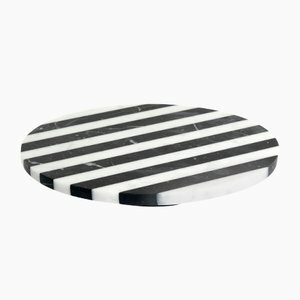 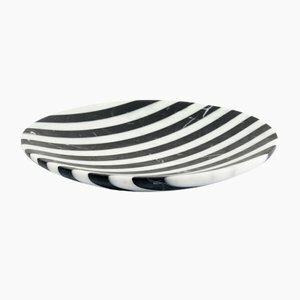 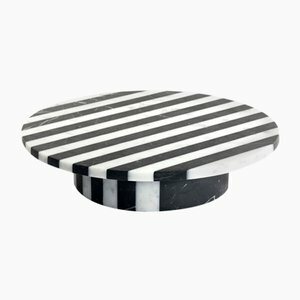 Gray's Alice Collection encompasses lamps, bowls, and cake stands rendered in super chic black and white marble stripes. 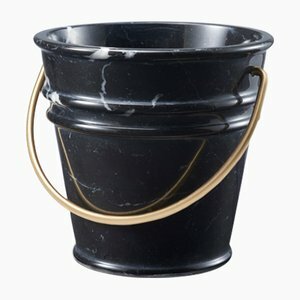 A must-have. 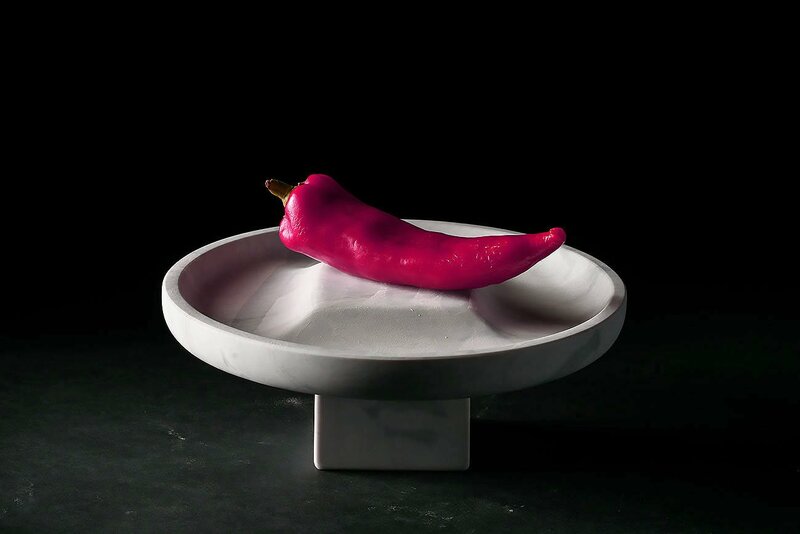 Obviously we're big fans of the impeccable marble craftsmanship that's quickly become Editions Milano signature. 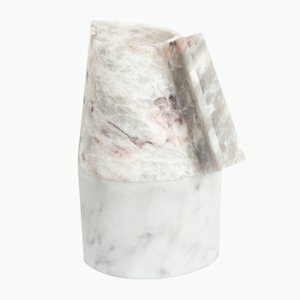 So we want to shout out one more collection from this blossoming Italian label: Pietro Russo's Coolers Bottle Coolers. 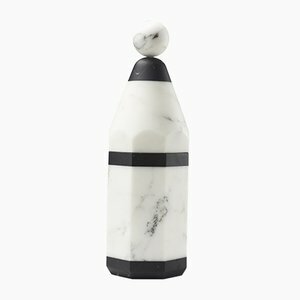 This eye-pleasing designs keep the temperature of your white wine bottles low until you're ready to pop the cork and start drinking. 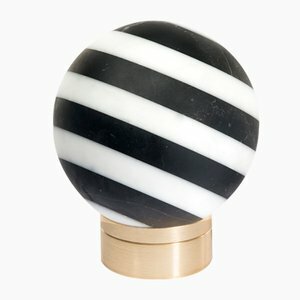 Imagine how you're life is about to get that much better. 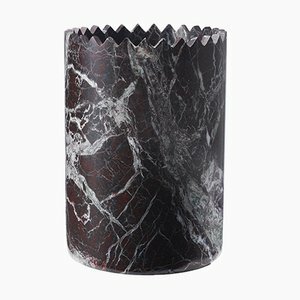 The innovative Flat Pixel Vase by Italian designer Paolo Ulian brings an unexpected, interactive element to the timeless appeal of marble. 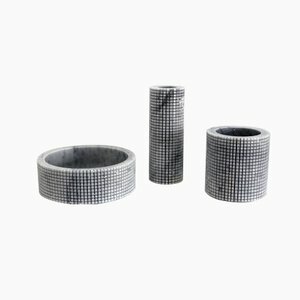 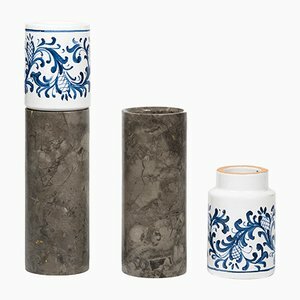 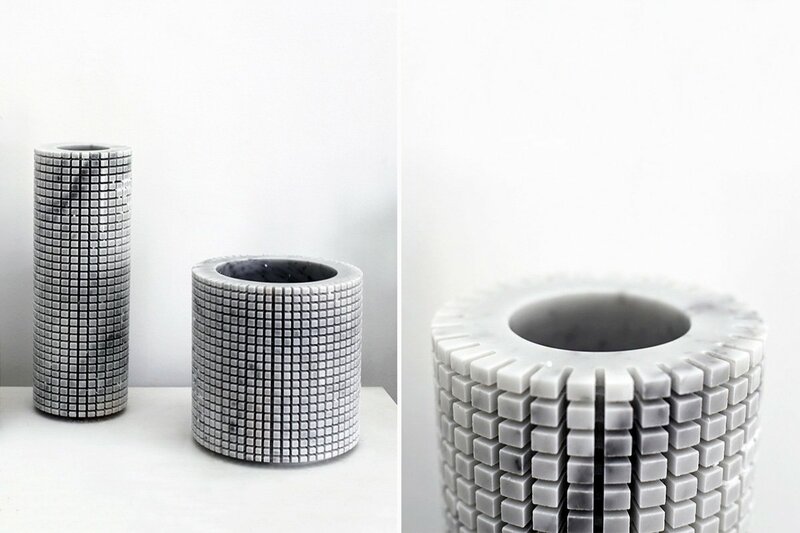 The gorgeously tactile grids that are cut into the outer surfaces of these vases can be personally customized by the collector. 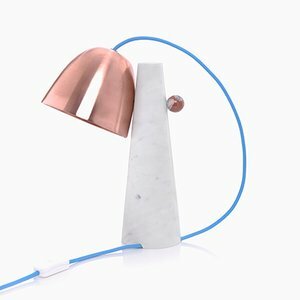 Ulian has worked quite extensively with marble, designing a number of objects in collaboration with fellow Italian designer Moreno Ratti . 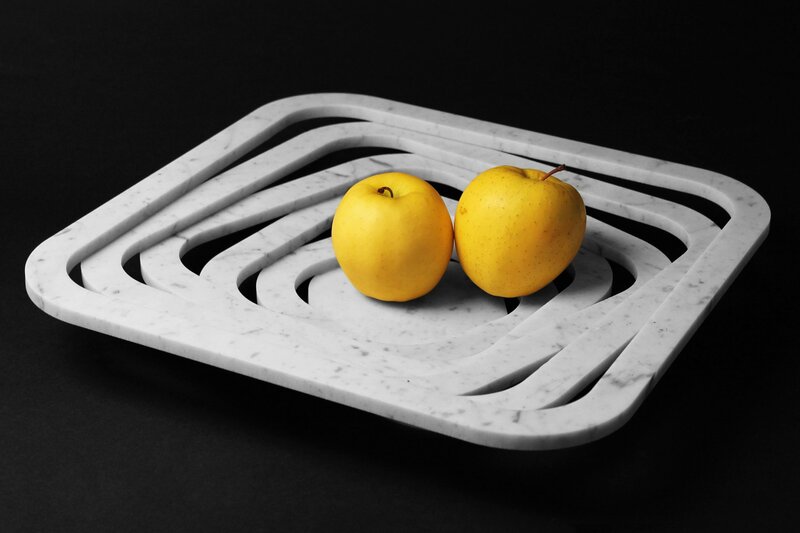 Their O-Ring Fruit Bowl came out of a project in which the designers decided to find new, creative uses for 40 x 40 cm marble tiles without producing any waste. 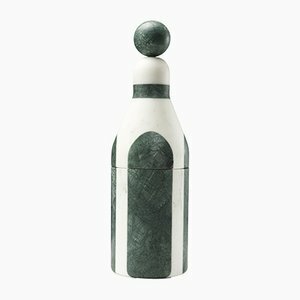 The resulting ethically produced collection is sculptural, engaging, and intriguing. 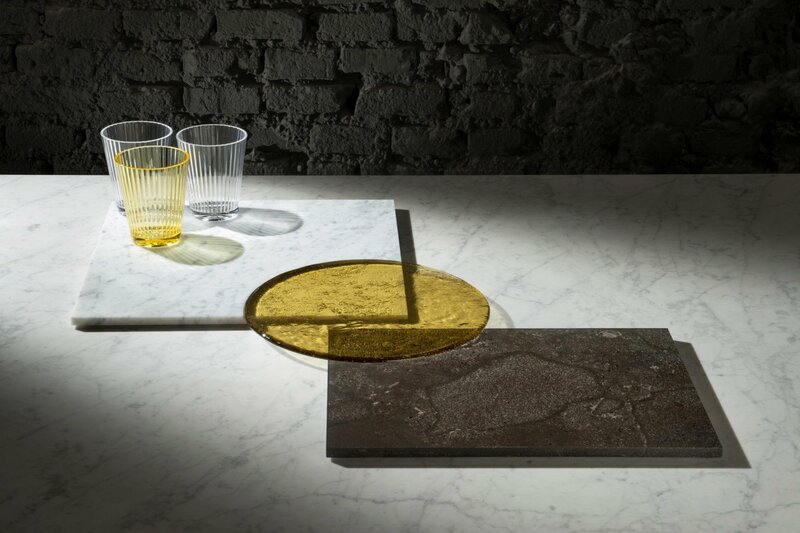 Seventy-plus-year-old Italian brand Salvatori does amazing things with marble. 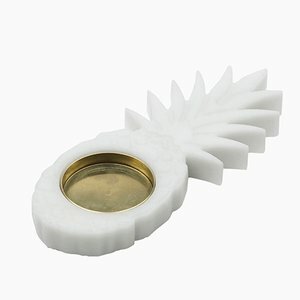 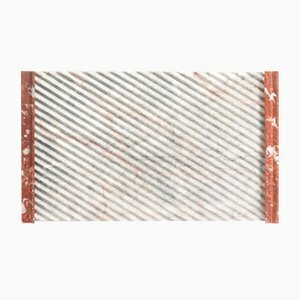 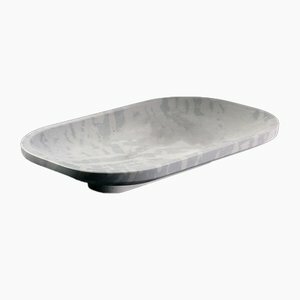 The PLAT-EAU Tray—with its unique pastiche of marble, hand-blown glass, and textured stone—is no exception. We love how this piece is both minimalist and inviting. 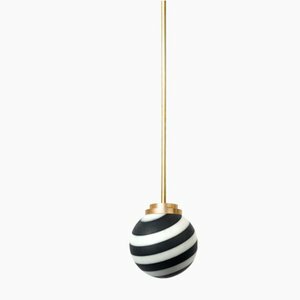 One of our favorite takes on contemporary minimalism is Salvatori's collaboration with in-demand, up-and-coming Italian archtiect Elisa Ossina. 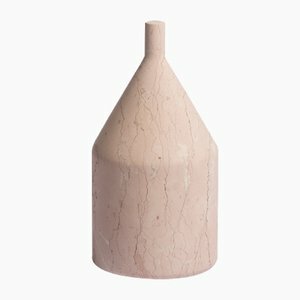 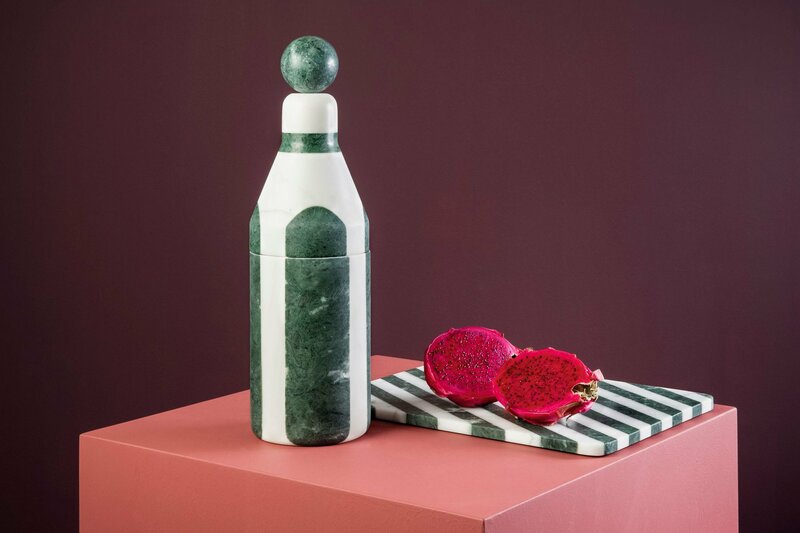 Her Omaggio a Morandi project—aka Homage to Morandi—is a collection marble objects inspired by the famous modernist Italian artist's still lifes. 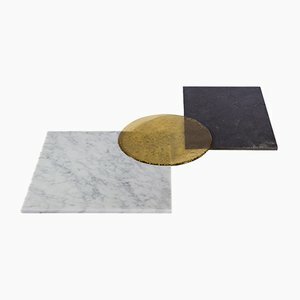 An assemblage of these beauties certainly make a cool statement. 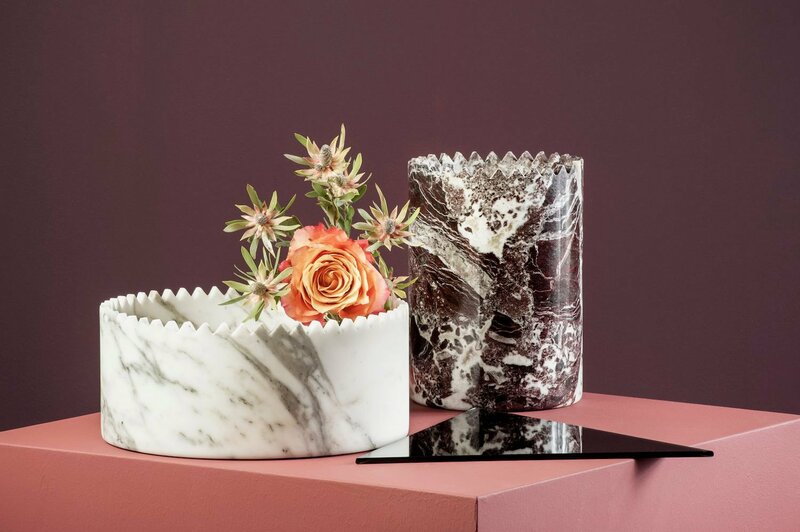 The Innesto Vases by Italian studio Gumdesign bring together two material with a rich Italian heritage—marble and ceramics—in a way that's unmistakably of the moment. 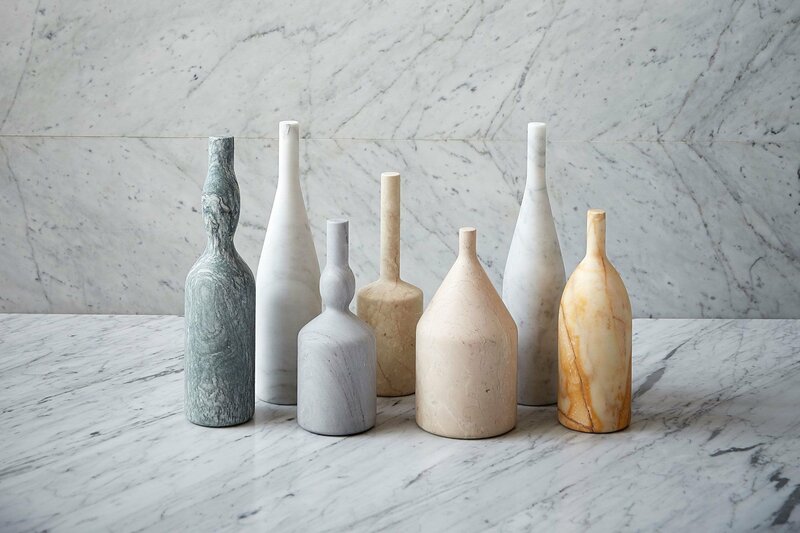 The handmade beauties are so artistic; so fresh. 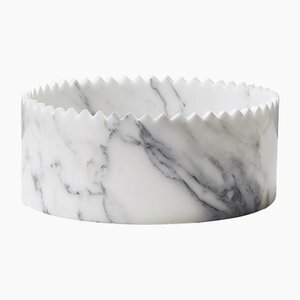 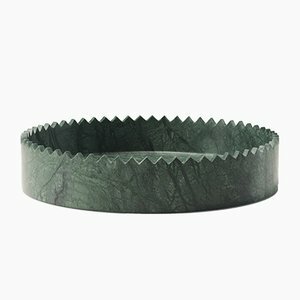 Hand-carved from Athenian Volakas marble, the Phebe Bowl by Greek designer Faye Tsakalides is a tabletop vessel or centerpiece—and a work of functional art. 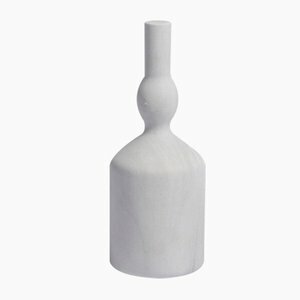 Its minimalist form is pure elegance. 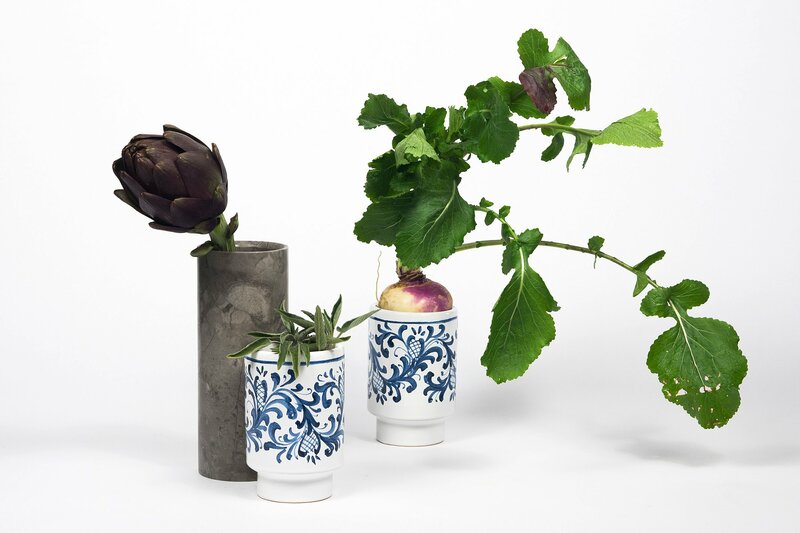 Last but not least, we just have to share our love for Lorenzo Bozzoli's Ice Ice Baby Buckets for Editions Milano. 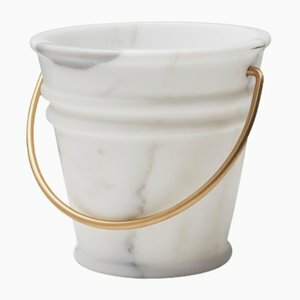 The form recalls the classic molded zinc buckets that have been around forever. 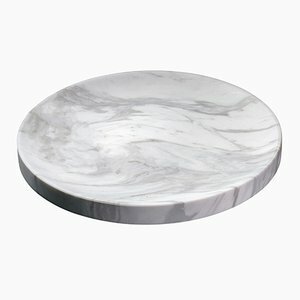 How did they do that in marble? 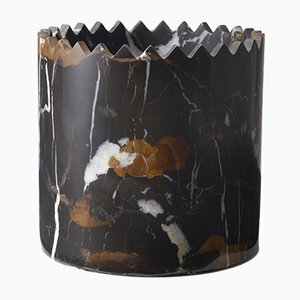 What a charming addition to your next cocktail get-together!